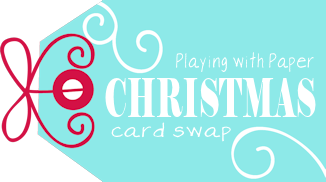 Playing with Paper: Christmas Card Swap! Good morning, I hope everyone is having a wonderful day so far. I'm here to share with you an idea I had recently that I hope you will all want to be a part of! If you don't want to swap cards but still want to receive one from me please feel free to send me your snail mail address anyways! So if you want to join in on the fun here's what to do. Email me at jess@lennonforever.net. Include your name, snail mail address and let me know if you want me to send you a card too, in which case I'll email you back with mine.